Still, Scott knew he could do more. 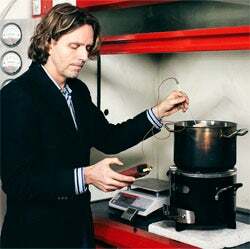 In 2010 he formed Vashon Island, Wash.-based Burn Design Lab, a nonprofit organization that creates sustainable stoves for developing countries to build and distribute. The following year he founded Burn Manufacturing, the for-profit arm that licenses the Lab’s designs to build and sell stoves in Africa. Scott scored a $1 million loan from a Fortune 10 corporation for Burn Manufacturing; now he’s working on securing a $3 million loan from the U.S. government’s Overseas Private Investment Corporation and trying to raise an additional $2 million in equity funding. Burn Manufacturing set up shop in Kenya late last year and received its first order for 8,000 stoves. 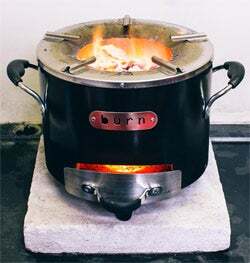 The company is on track to build 100,000 stoves by the end of 2013 and aims to build and sell 3.6 million units in Kenya, Rwanda, Tanzania and Uganda over the next 10 years. Scaling his vision so he could reach more people and save more forests–and convincing others to fund that vision–required Scott to do a lot of pitching and educating. “People have misconceptions of Africa about it being a poor place to invest,” he says, noting high historic rates of return on investments in the continent. According to the U.S. State Department, Africa is home to at least six of the world’s 10 fastest-growing economies. Welcome to the world of impact entrepreneurship, which places as much importance on socially conscious activities as on profit. With consumers increasingly weary of perceived corporate greed, companies peddling products and services that tackle societal and environmental ills are gaining a following. Incubators aimed at impact entrepreneurship are sprouting up. And investors are warming to the do-good trend. According to a survey conducted by First Affirmative Financial Network (FAFN), a Colorado Springs, Colo.-based advisor on socially conscious investments, most investment professionals say impact investing is on the rise and becoming more widely accepted by institutions. “There’s this whole new thing happening where people want to do social good, and they’re recognizing the limitations of just straight charity,” Scott says.